TODAY IS THE DAAAAAAYYYYYYY! Black Panther is officially out in theaters everywhere! Seriously, I follow someone on Instagram in Kenya, and she posted a photo of her at the movie theaters. 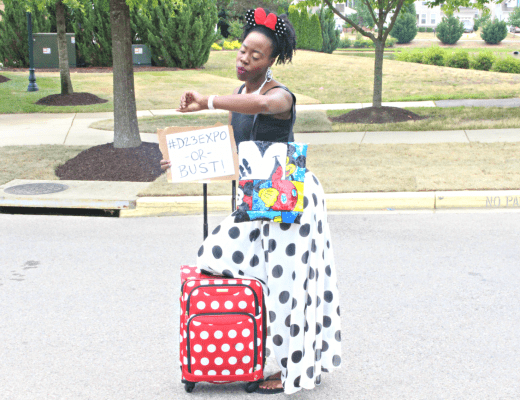 I cannot believe the countdown is over. But the fun is just beginning. 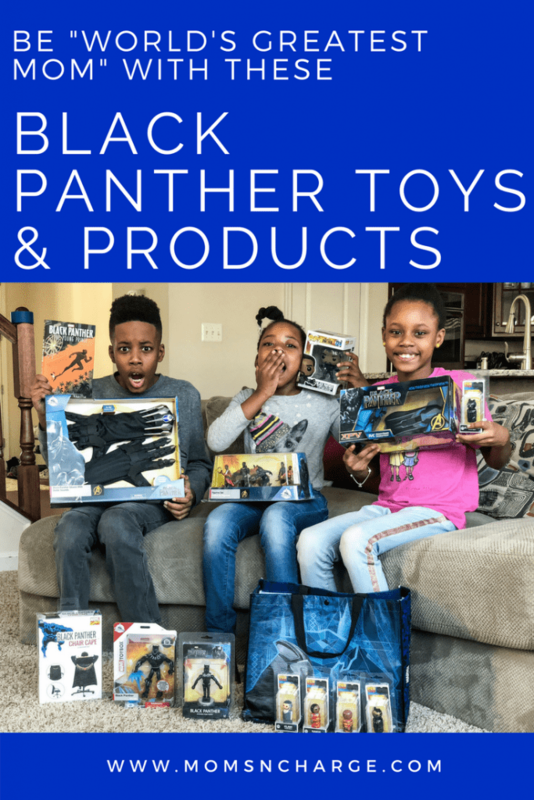 This post is all about the Black Panther toys and products. 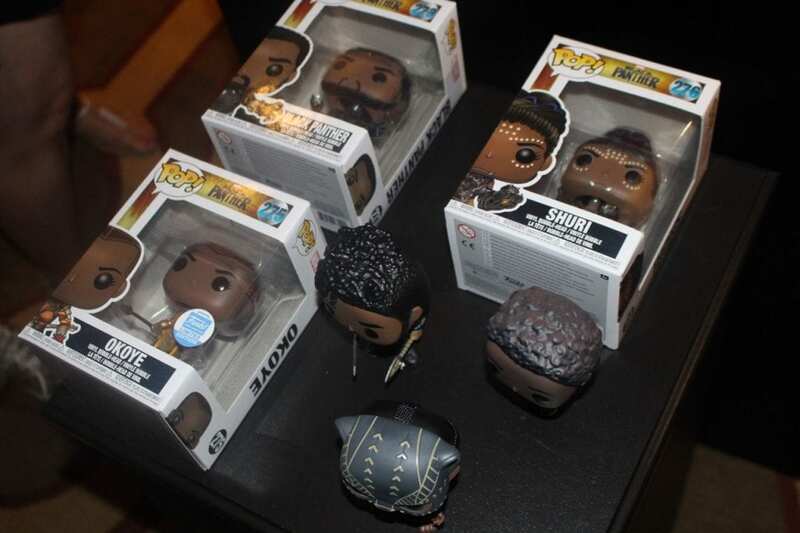 We got to see a showcase of most of the products while in LA for the Black Panther Event. 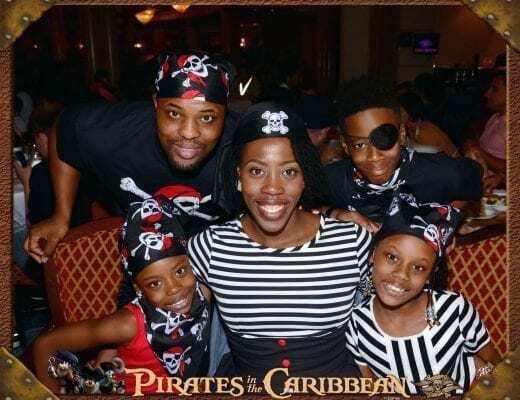 We also got to bring a lot of it home (Thanks, Disney)! 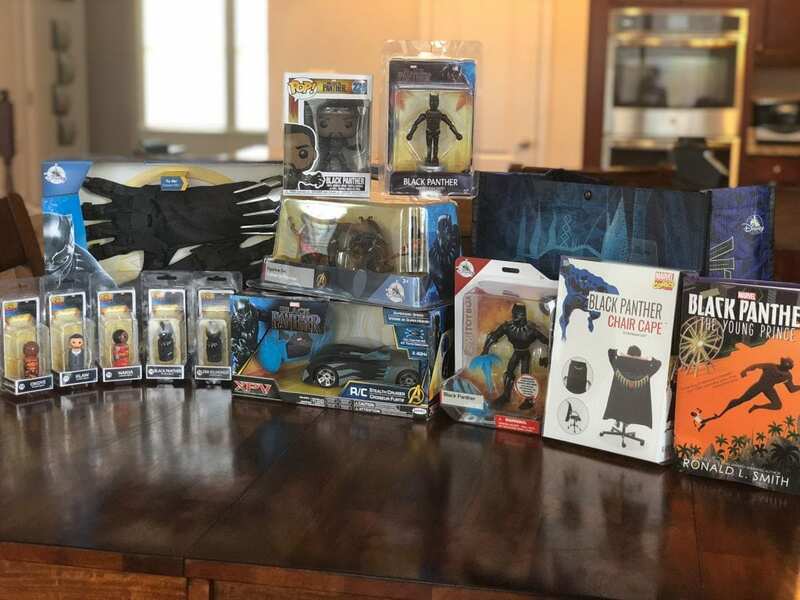 It’s never too early to start shopping for birthday and holiday gifts 🙂 Needless to say, the kiddos were pumped up when they saw these goodies! 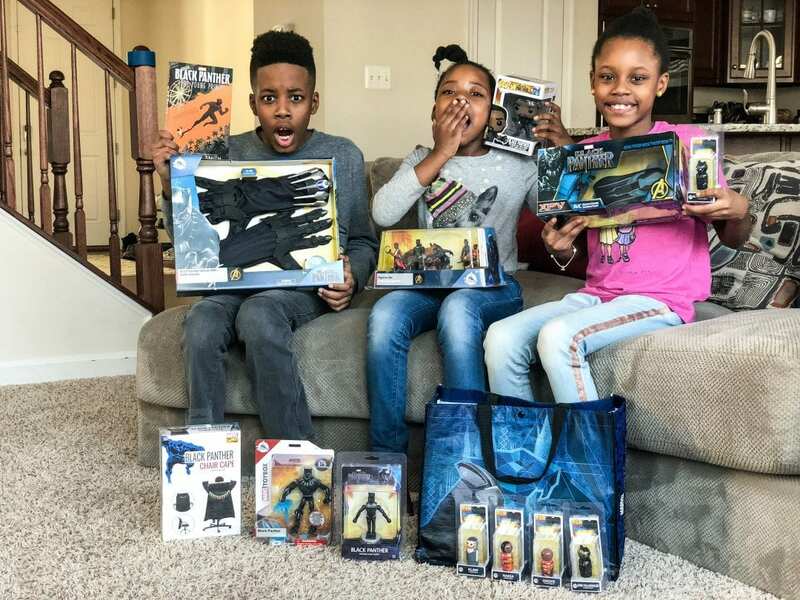 Let’s get into these Black Panther toys! 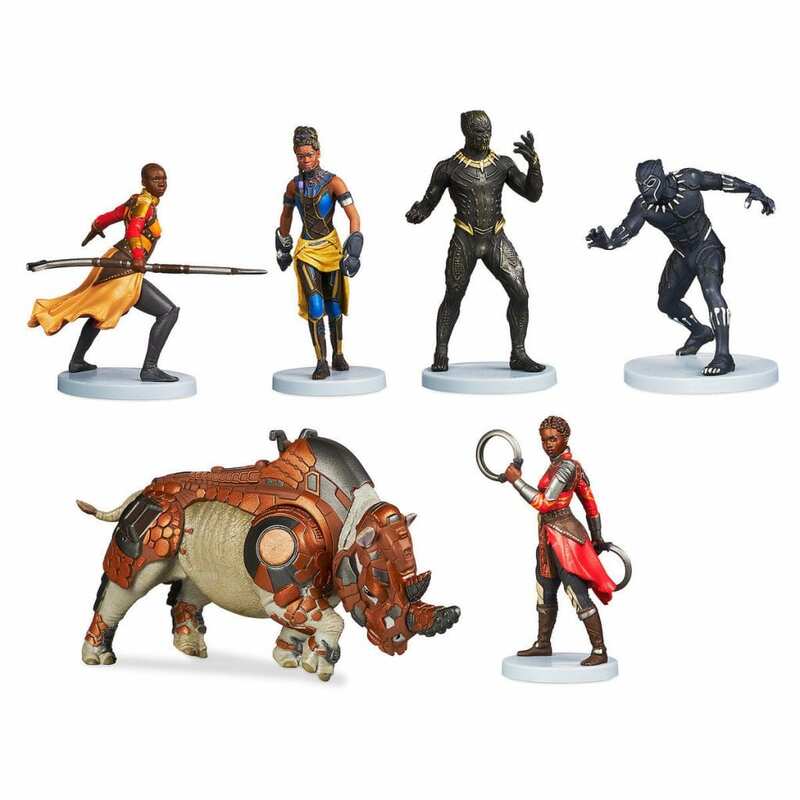 About the set: Bring the wild excitement of Marvel Studio’s Black Panther to life with this six-piece figure set. The heir to the Wakanda throne, T’Challa, is featured in his guise as the leader of the Panther Clan in this highly detailed set. My youngest claimed this set. But I feel like this is a collector’s item we just need to have on display. What say you? 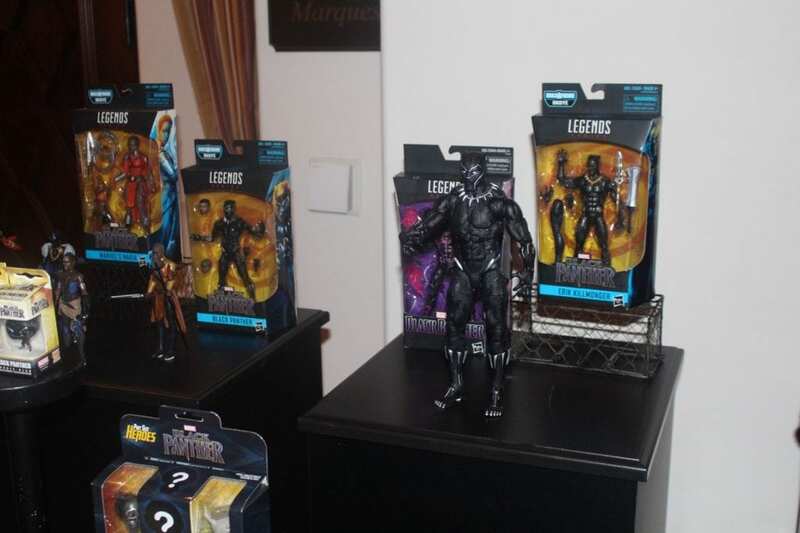 You can grab your Black Panther Figure Set here. 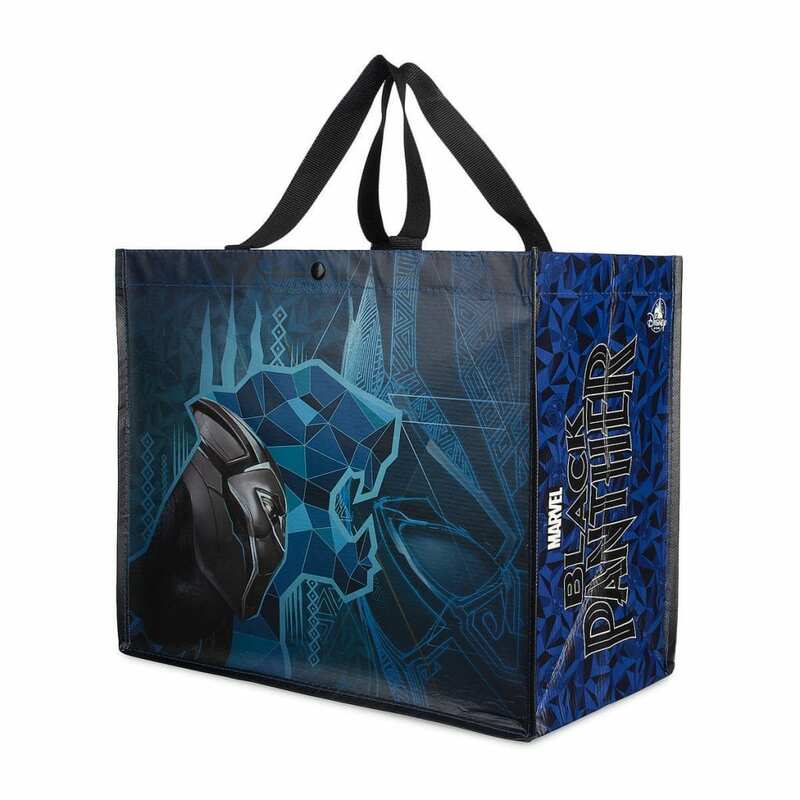 About the tote: Prowl the mall carrying this reusable shopping bag with powerful Black Panther graphic design. Made from 80% recycled materials to help keep the environment active against all odds. I love reusable totes and use them for everything. Grab your tote here! About this book: When he’s not learning how to rule a kingdom from his father, the reigning Black Panther, he’s off breaking rules with his best friend, M’Baku. But as conflict brews near Wakanda, T’Challa’s father announces he’s sending T’Challa to school in America. Grab your child’s copy of this book here! 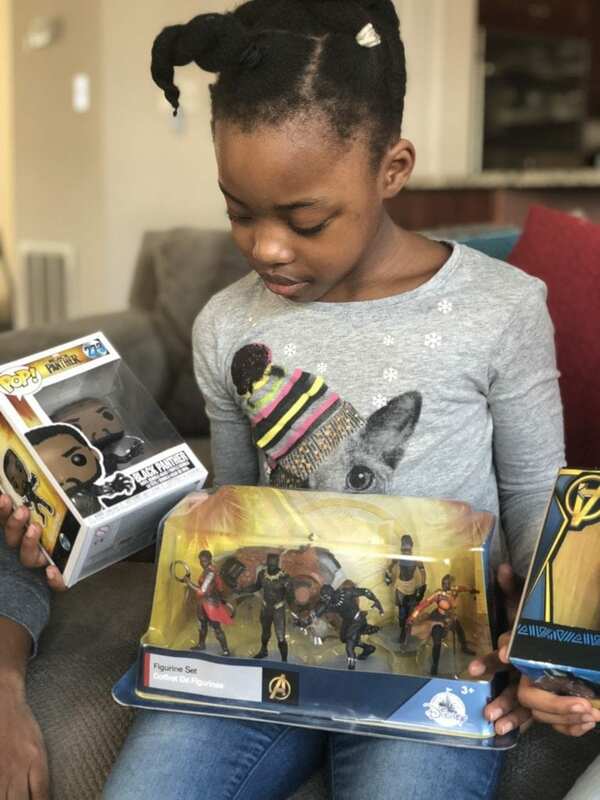 Description: There is a crisis in Wakanda. The sacred Mound is being attacked by an evil cult and Wakandans are growing angry with their new king, T’Challa, aka the Super Hero Black Panther. So it’s bad timing when Black Panther receives a call from the Avengers. There is strong evidence that the king has stolen a highly classified weapon. But how? Black Panther has been in Wakanda the entire time. 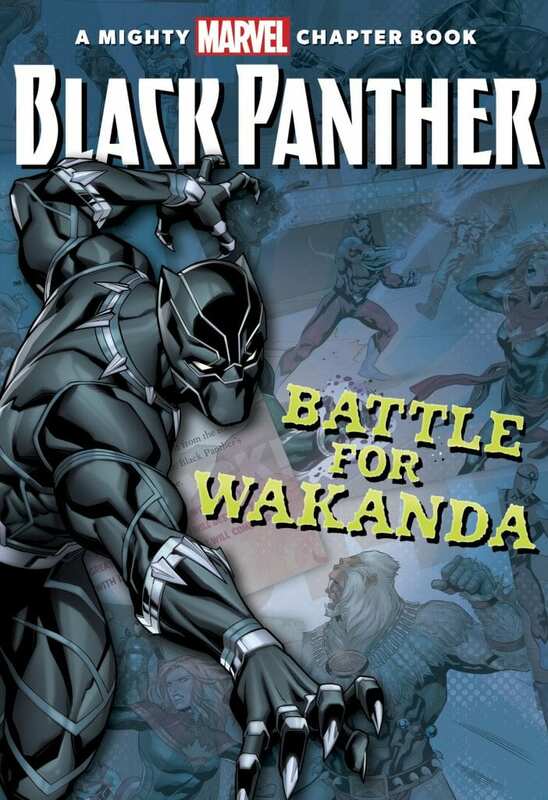 With help from some familiar faces in S.H.I.E.L.D and some new ones like the Dora Milaje, Black Panther will battle the greatest threats Wakanda has ever faced. Who doesn’t love a good bobble-head? 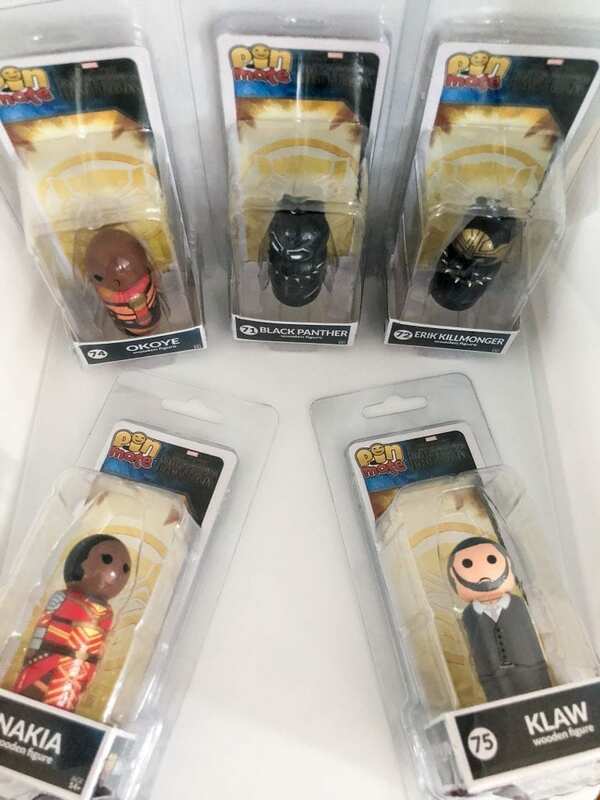 Well now, you can have them in your favorite Black Panther character. You can buy them individually, or purchase all five together. 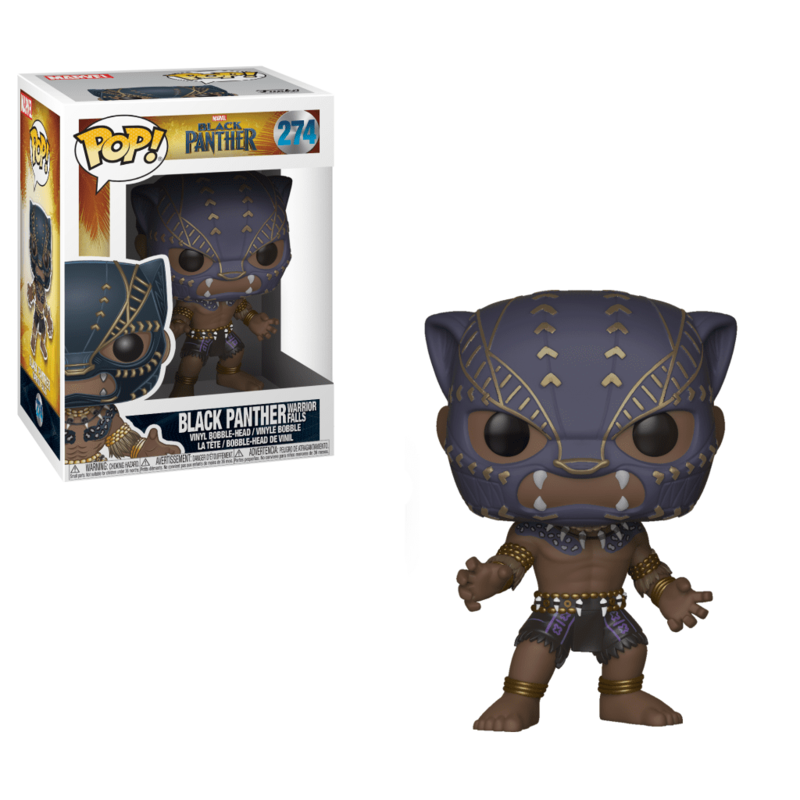 Description: This Black Panther vinyl bobble-head figure by Funko, inspired by the Marvel Studios movie, is available here in his Warrior Falls guise. 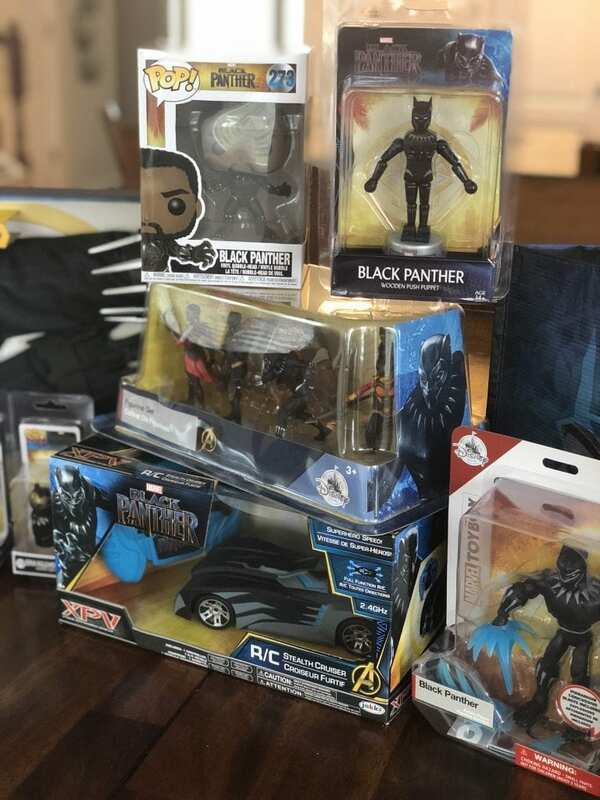 This is one Black Panther figure collectors will be keen to get their paws on. 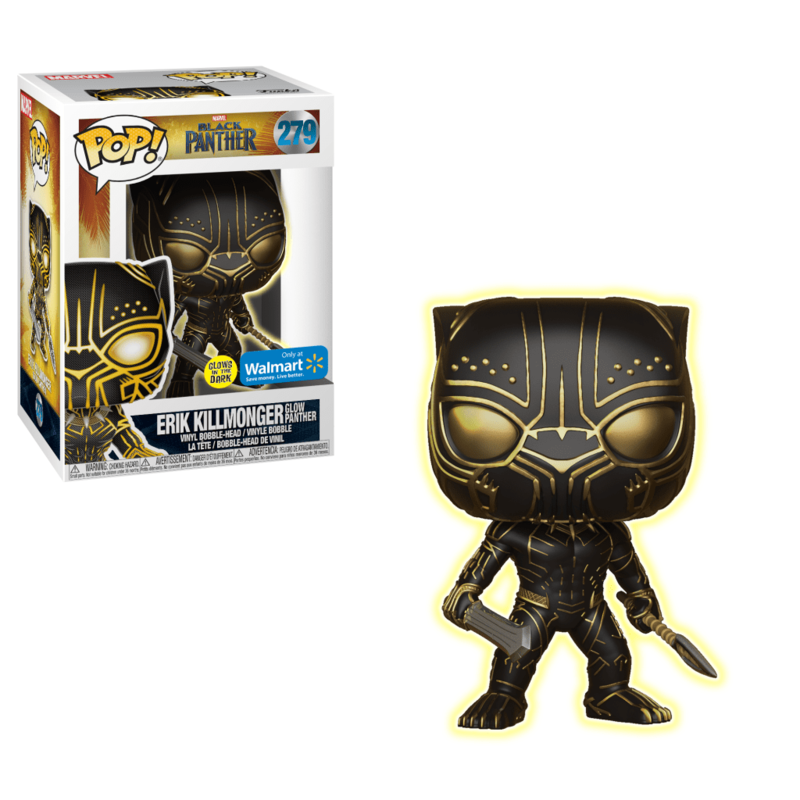 About this toy: This Black Panther vinyl bobble-head figure by Funko, inspired by the Marvel Studios movie, is available unmasked, or in the limited edition Chase variant masked form. You won’t know which you’re getting until you open the package. 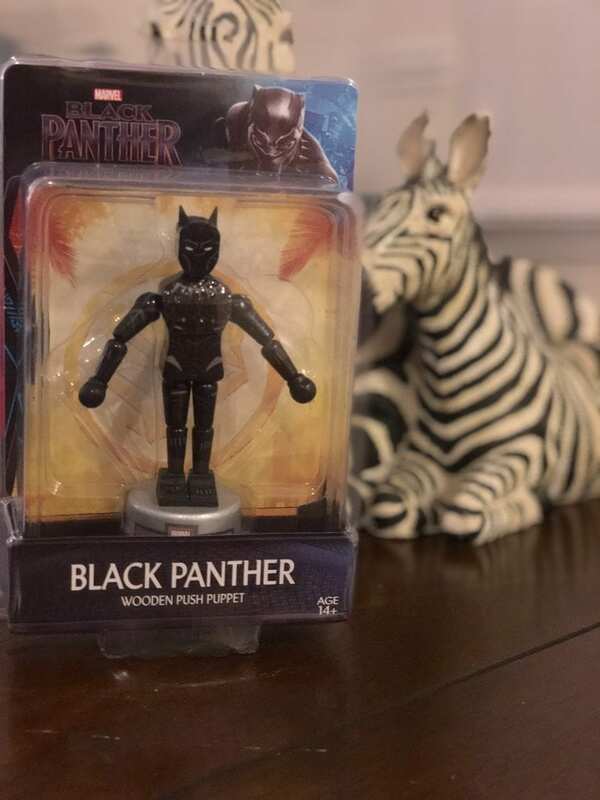 About the push puppet: Thanks to the clever designers at Entertainment Earth, you can enjoy Black Panther as this 5-inch scale floppy wooden puppet that collapses, moves, and stands up again when you push the hidden button on the bottom of the base! 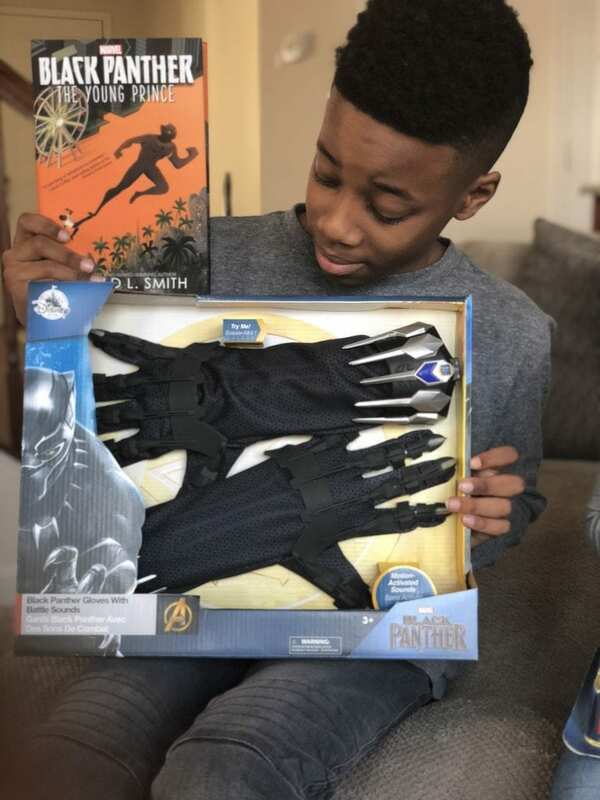 Inspired by the 2017 film, this Black Panther Wooden Push Puppet is designed in a vintage style reminiscent of traditional push puppets known as Wakouwa and features vivid hand-painted artwork, along with some decal elements. Ages 14 and up. 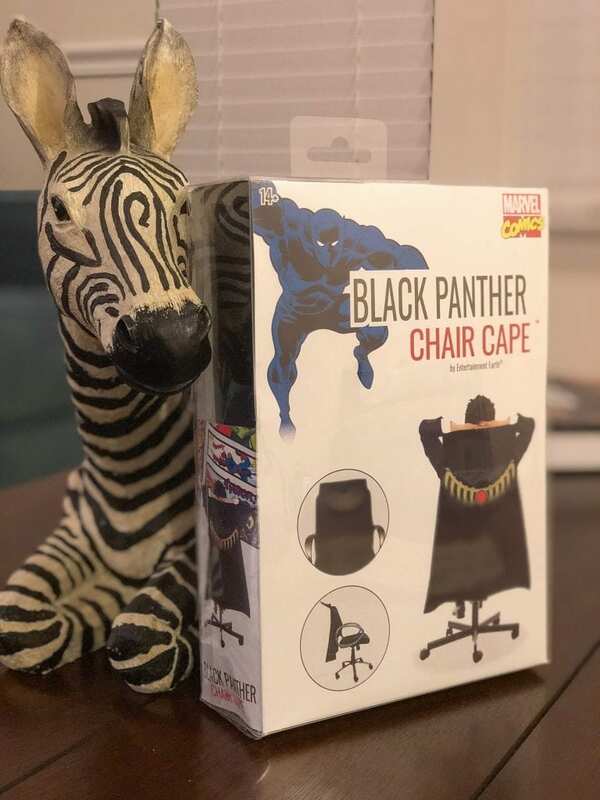 About the chair cape: Bring some excitement to your boring chair with Marvel Black Panther Cape from Entertainment Earth! Made of high-quality fabric materials, the patented Chair Cape line from Entertainment Earth adjusts to fit most size chairs by using an adjustable hook and loop-based belt and strap design to wrap securely around the back of your chair. On top of the 24-inch long royal black cape, this unique Chair Cape includes an 8-inch rigid raised collar – for a total length of 32 inches. 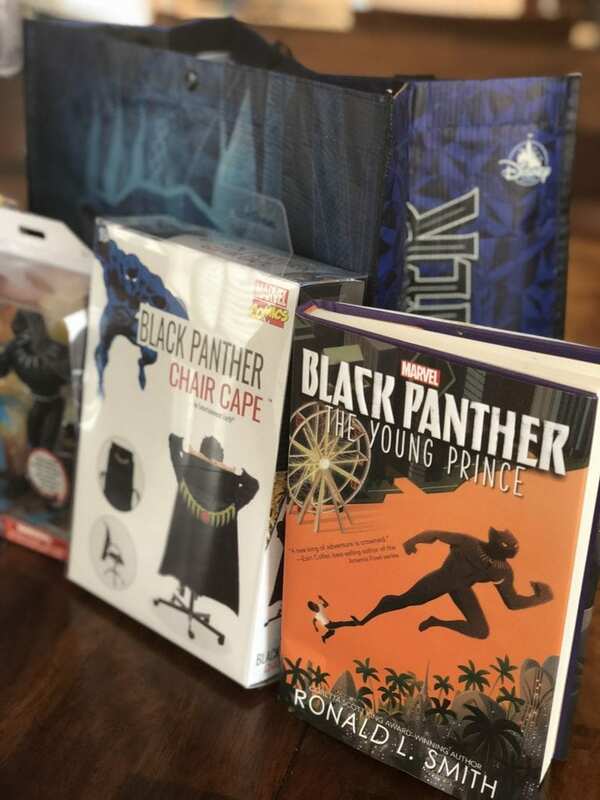 The adjustable black chair strap as well as the cape showcases the Black Panther’s iconic royal necklace. So what are you waiting for? Transform your tame chair into a seat fit for a fierce and protective king! Ages 14 and up. I think these are too cute, definitely collectible items that will last a long time. You can grab them individually, or add all 5 to your collection instantly. Description: Retro-styled, 2-inch scale wooden figure features custom, 360-degree details. It’s here: the Black Panther Pin Mate Wooden Figure from Bif Bang Pow! is ready for your collection! 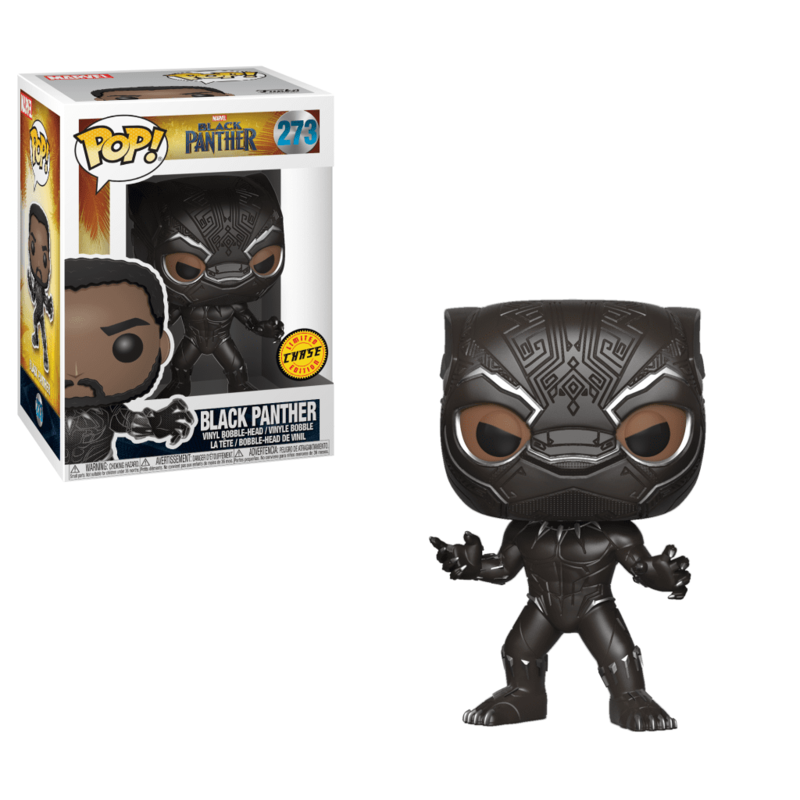 The adorable, 2-inch scaled wooden figure featuring Black Panther from the 2018 film Black Panther adds to the growing line as number 71 in the Marvel Pin Mate™ series. 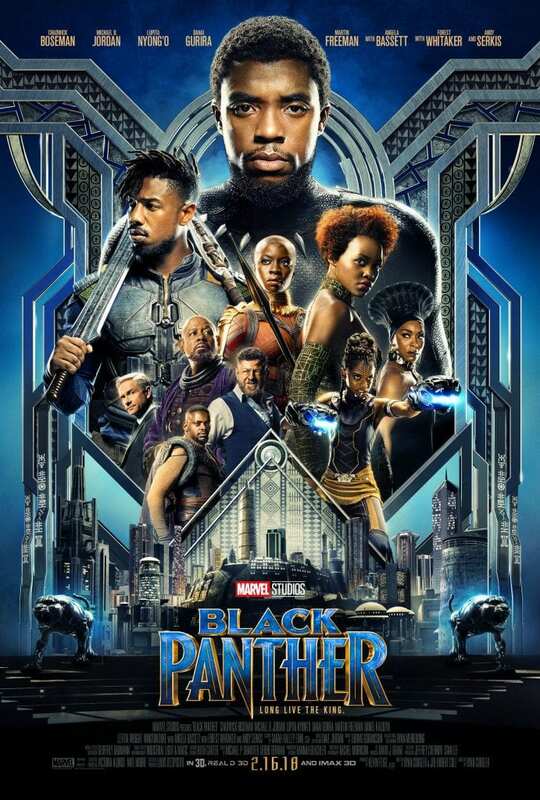 Black Panther features highly detailed, brightly colored, 360-degree artwork that includes custom hand-painted artwork. Ages 14 and up. Description: It’s here: the Black Panther Nakia Pin Mate Wooden Figure from Bif Bang Pow! is ready for your collection! 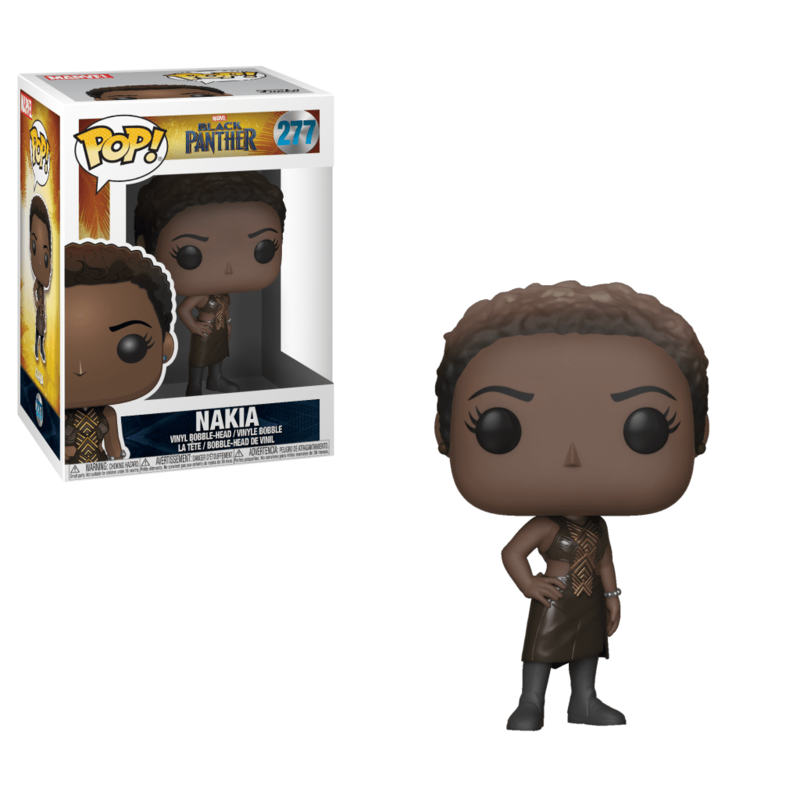 The adorable, 2-inch scaled wooden figure featuring Nakia from the 2018 film Black Panther adds to the growing line as number 73 in the Marvel Pin Mate™ series. Nakia features highly detailed, brightly colored, 360-degree artwork that includes custom hand-painted artwork. Ages 14 and up. Description: It’s here: the Black Panther Erik Killmonger Pin Mate Wooden Figure from Bif Bang Pow! is ready for your collection! 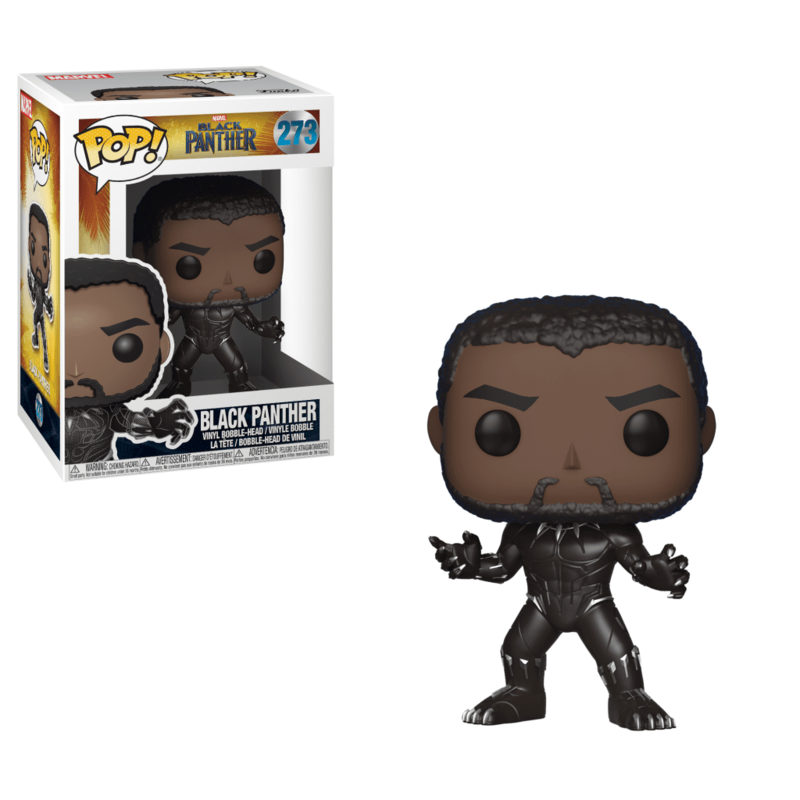 The adorable, 2-inch scaled wooden figure featuring Erik Killmonger from the 2018 film Black Panther adds to the growing line as number 72 in the Marvel Pin Mate™ series. Erik Killmonger features highly detailed, brightly colored, 360-degree artwork that includes custom hand-painted artwork. Ages 14 and up. 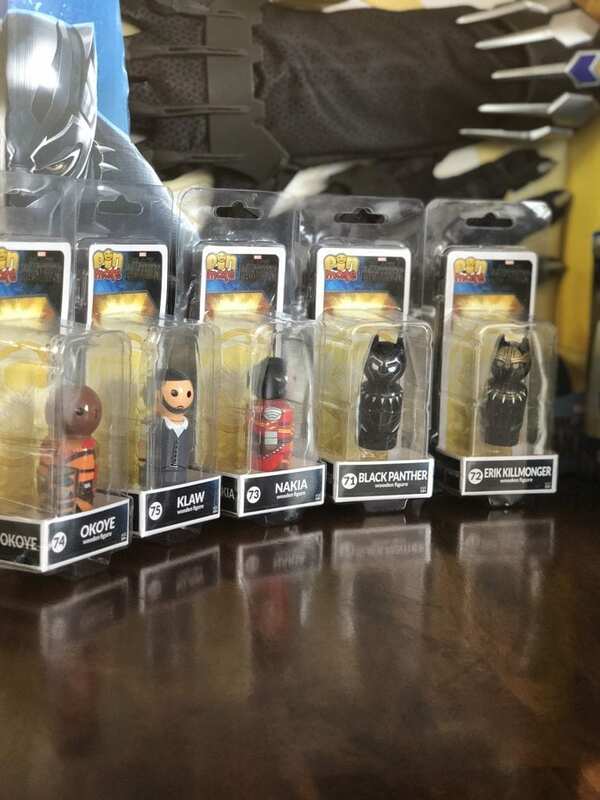 Description: It’s here: the Black Panther Okoye Pin Mate Wooden Figure from Bif Bang Pow! is ready for your collection! 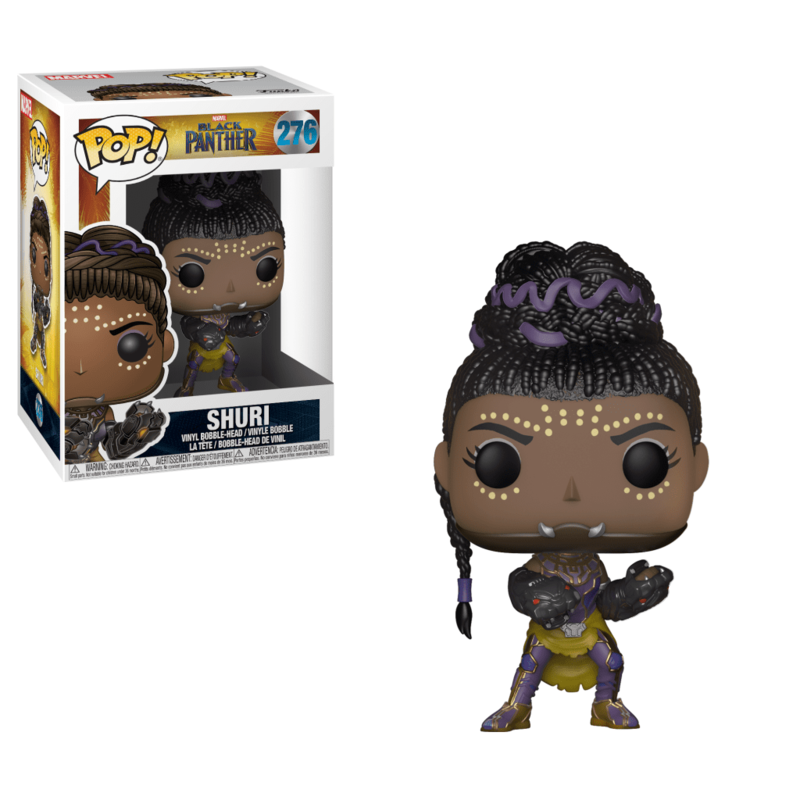 The adorable, 2-inch scaled wooden figure featuring Okoye from the 2018 film Black Panther adds to the growing line as number 74 in the Marvel Pin Mate™ series. 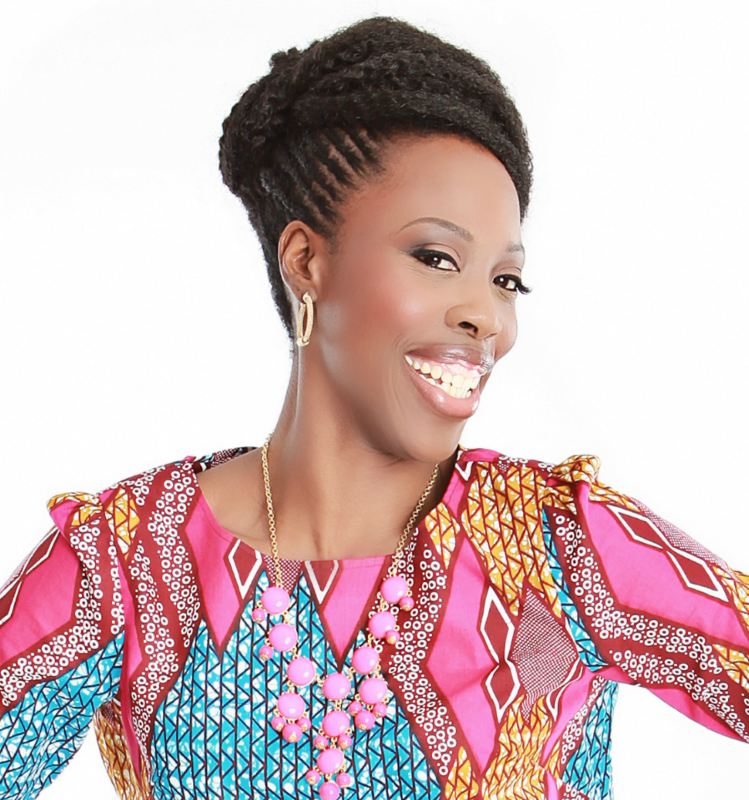 Okoye features highly detailed, brightly colored, 360-degree artwork that includes custom hand-painted artwork. Ages 14 and up. Description: It’s here: the Black Panther Klaw Pin Mate Wooden Figure from Bif Bang Pow! is ready for your collection! The adorable, 2-inch scaled wooden figure featuring Klaw from the 2018 film Black Panther adds to the growing line as number 75 in the Marvel Pin Mate™ series. Klaw features highly detailed, brightly colored, 360-degree artwork that includes custom hand-painted artwork. Ages 14 and up. 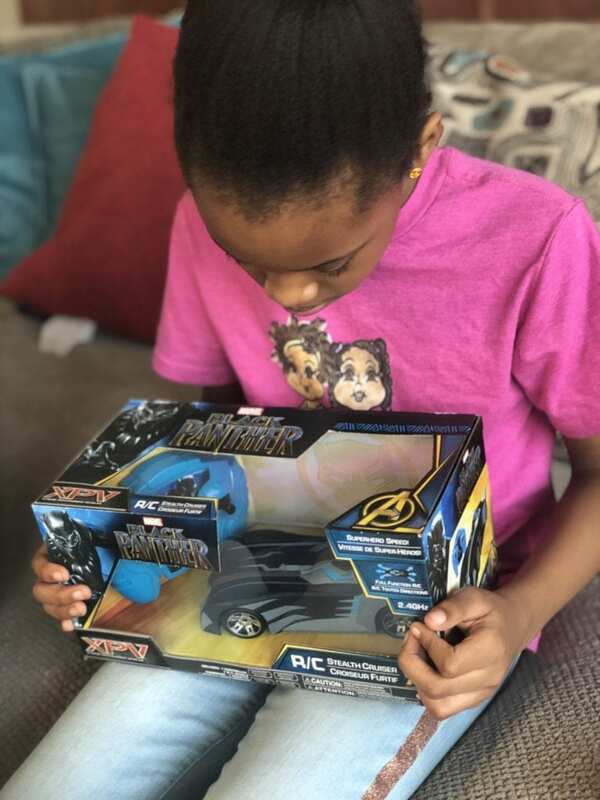 About the car: Race the Black Panther RC Stealth Cruiser with superhero speed! Designed using the latest Wakandan technology, it has the same look, speed, and agility as Black Panther. With a 2.4-GHz remote and full function controls, you can race around with ease. 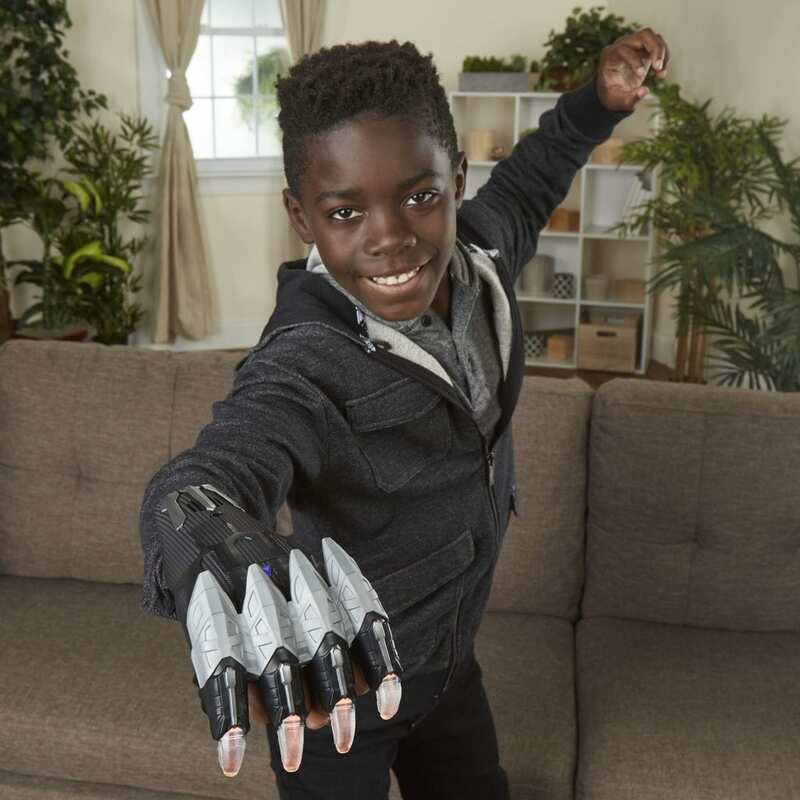 Above the gloves: Stalk your villainous prey armed with Black Panther’s power gloves, complete with push-button or motion-activated battle sounds for hours of heroic play. 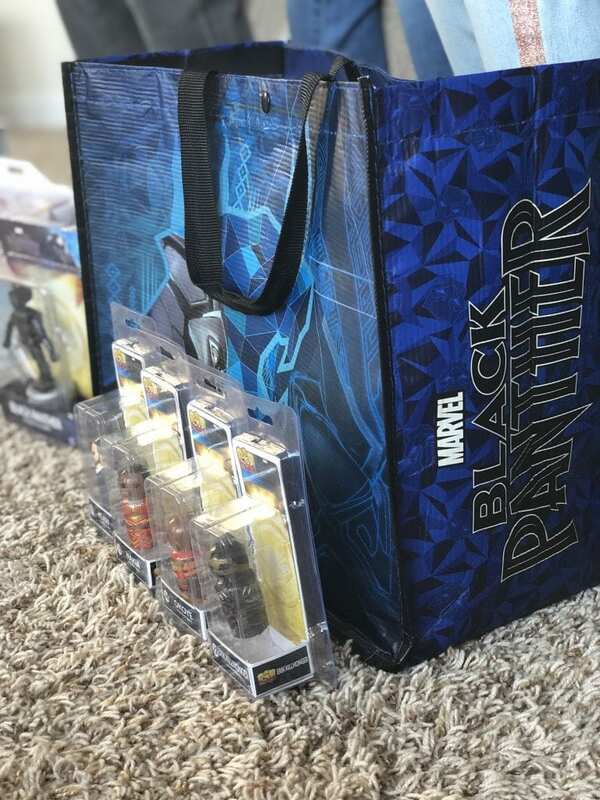 Description: Pounce into an action-packed playtime with this Black Panther Action Figure from the Marvel Toybox Series. 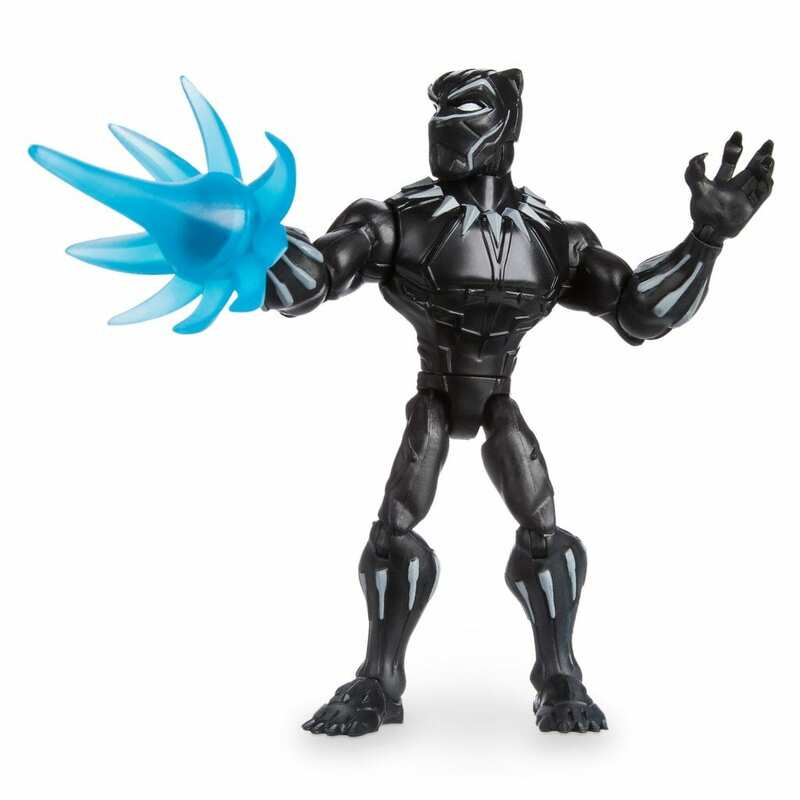 Two vibranium concussive blast accessories included. 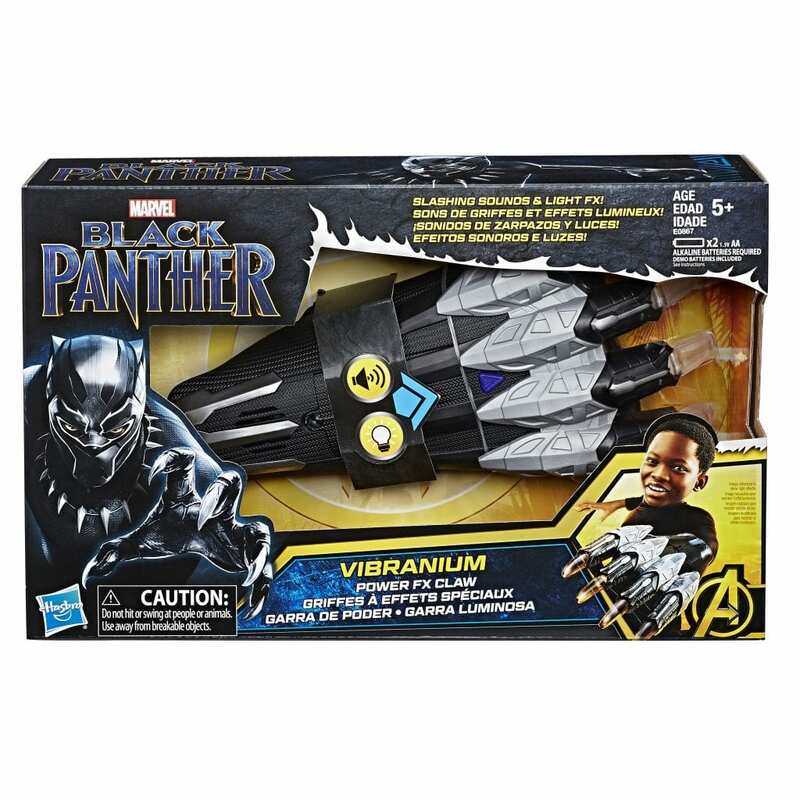 About: Battle like the warrior king BLACK PANTHER with this movie-inspired VIBRANIUM POWER FX CLAW! This claw features slashing sound effects and lights that are activated with surface contact. Requires 2 1.5V AA batteries, included. 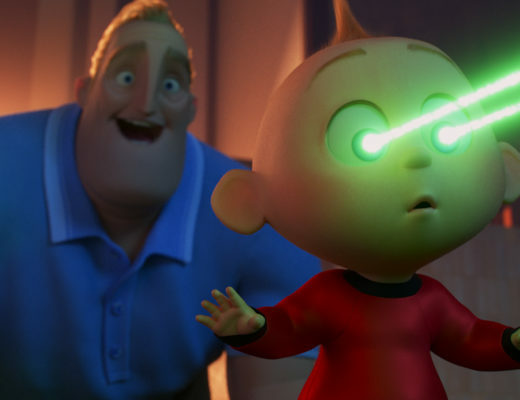 I know you’ve seen the commercial. I get chills every time I see it. Amazing how you don’t realize what you don’t see until you see it. Yes, I know representation matters, but when you’re used to not seeing it, you almost forget how powerful it can be when you do see it. I don’t think I’ll ever get tired of watching it. 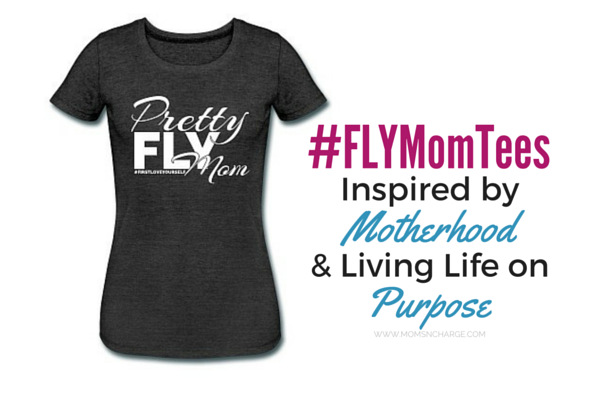 Don’t forget to treat yourselves Moms! 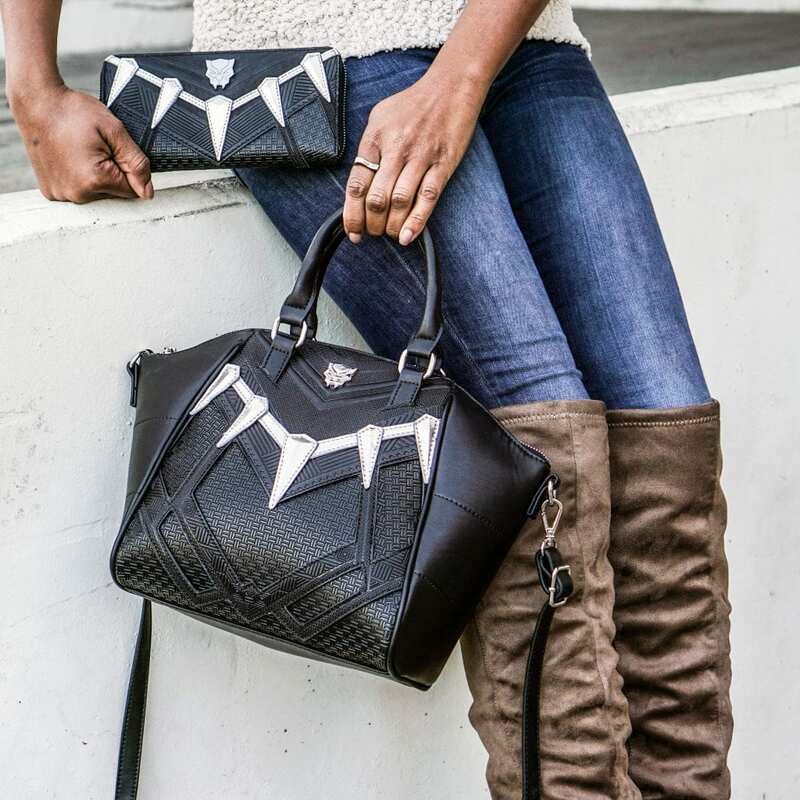 From handbags and wallets to tees and jewelry, we can get in on the Black Panther love too. Check out a few more products for us below. I really feel like I need both handbags and wallet sets. 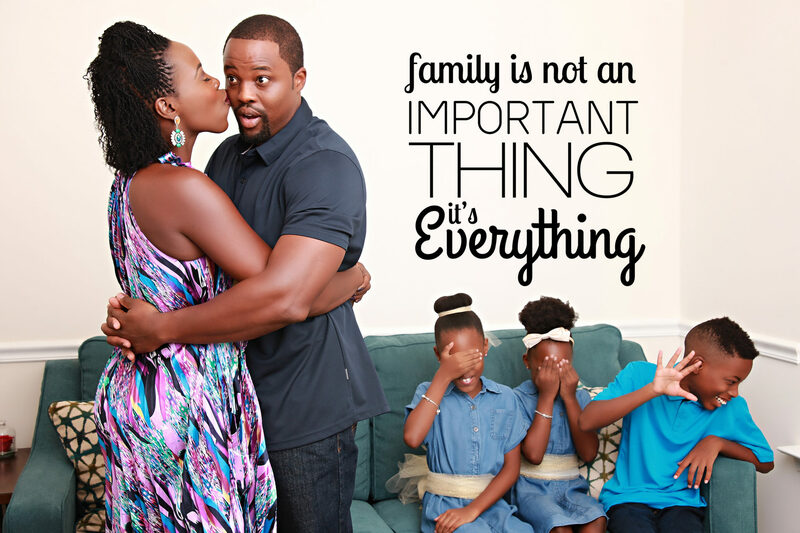 Click on any of the images to see more. What’s your favorite?